Summary of our Yamaha Piaggero NP-32 review: Simple, minimalist and yet fully functional. If you want to practice and play without getting distracted by hundreds of buttons and flashing keyboard lights, then this is the perfect 76-key keyboard for you! Should you buy the Yamaha Piaggero NP-32? “What is a good keyboard for me?” is a question that you might have asked yourself before. Of course, the answer is subjective and will differ depending on who you ask. But if you are a beginner wanting to test the waters and you can't be bothered with complicated shindigs that come with some keyboards, or information that makes you more confused than you were when you first started, then you came to the right place. If you are looking for options for a beginner keyboard within or below $300, check out this post (or if you prefer a sub-$200 beginner keyboard, then you should check out this post) because today, this will be about the Yamaha NP32 76-key keyboard. We will go through its features, pros and cons, and you'll know if this is the right keyboard for you. The Yamaha NP32 is under the Piaggero NP Series and boasts an ideal combination of elegance and simplicity. It emphasizes on being able to let the musician focus on playing music which is shown on its light, compact, piano-style keyboard. This is one of those things that will make you realize that sometimes, less is more. Some beginners would prefer a grand, sleek, stylish design regardless of their musical experience. It will make them look flashier, yes, but let me ask you, what is your reason why you want to buy a keyboard? To practice? To be a better musician? Yes, you buy a keyboard not for display but to actually use it to play music. The Yamaha NP32 is simplistic which makes you focus on getting better in being a musician and play awesome-sounding music. The design is not too overwhelming, with a timeless black and white color with only a few buttons on the dashboard and we are a firm believer that if you are a beginner, less distractions are definitely better. With a minimalist design like this, this is a space-saver considering it has 76 keys. The keys themselves are light. It feels good to the touch, and gives you a vibe that you are playing a grand piano rather than a keyboard. Now, this section is possibly one of the major reasons why you are here. As a budding, beginner musician, you might be in a situation where you want to make the most out of your money. A cost-effective keyboard for a starter musician. Not all of us has the cash, and that is why the Yamaha NP32 is a great deal not only because it is below the reasonable $300 figure but it does not compromise on the learning experience. Really, what makes an expensive keyboard? Its extra (and sometimes unneeded, depending on who uses it) features. But at this stage, you don't need that yet. You just have to focus on getting better at playing and what more can help with that but a straightforward keyboard without all the bells and whistles. You get to actually use most, if not all features of the keyboard. For a "travel" piano and for its price range, the Yamaha NP32 is a very playable keyboard. One thing about musicians is that you can get in a dilemma of practicing in privacy or going out there and performing in front of an audience. You might be conscious about bringing your bulky keyboard anywhere and taking the time to set it up. This keyboard is so light that you can just pack up, choose a place to set up and practice to your heart's content. Kitchen? The floor is yours. The park? Make sure you look good because you might go viral. The Yamaha NP32 has on-board speakers which eliminates the need for an extra amplifier. But that's not all - other than the speakers, you can actually use a good pair of head phones for a better listening experience while you play. If the space and time permits, you can also connect an external speaker and share your musical talent to the world. This keyboard also weighs just about 20 lbs so Yamaha nailed the portability aspect of this review. A fully-functional, almost full range keyboard but still light enough for travelling or outside performances? Truly an excellent job, Yamaha. This keyboard might feel light to play, but it does sound great. There are two on-board speakers which are impressively audible especially when you play at a higher volume. With 76 keys and a 64-note polyphony, you can play most compositions, even most classical pieces without getting dropped notes, but fair warning: you will eventually lose some notes if you hit a bunch of notes again and again while you hold the sustain pedal. Adjusting from a keyboard to a real piano might be a challenge to some but with the Yamaha NP32, you don't have to worry because practicing on this keyboard would not make your transition into playing with a real piano difficult. The way the keyboard sounds and feels is almost exactly like you are playing an actual piano, regardless if you are using a headphone or not. There might be a few sound choices on this keyboard, but they are well-selected sounds. Convenience is key, especially nowadays where sharing to social media is a thing. Yamaha offers a whole range of iOS-compatible apps (sorry Android!) to use with Piaggero keyboards so uploading a recorded song can be a breeze. You can try NoteStar, Metronome or even the Digital Piano Controller which can be accessed with either a wired (USB to host) or wireless connection (you can use the optional UD-BT01). Convenience is also a great factor in reaching out to people for more gig opportunities since the easier you can upload your content, the more chances you will have in reaching the right people for job or gig offers. You don't want to jump through hoops just to share your music to the online world, you want to do it as easy as you can so that you can focus on creating music. Imagine this: you are all set, you practiced all morning for a gig that evening, and you are ready to bring your best game forward. You arrive at the venue, and start to set up. You turn on your keyboard, and wondered why it's not playing. Turns out, you were too trigger-happy and FORGOT to turn off your keyboard after practicing so you are faced with an issue of a dead keyboard while you have an expected gig in 10 minutes. The Yamaha NP32 has a built in Auto Power Off function if no buttons or keys are pressed in approximately 30 minutes. You have that small peace of mind that even if you forgot to turn off your keyboard, there is that Auto Power Off function that will save your battery power. Quick note: If for some reason you don't want your keyboard to automatically turn off if not in use, you can turn your keyboard off then turn it back on while holding down the lowest key so that Auto Power Off will be disabled. Of course, with this budget keyboard comes some disadvantages. The Yamaha NP32 originally does not come with a power adapter or a pedal. This keyboard runs on batteries although the option for a power adapter is there. 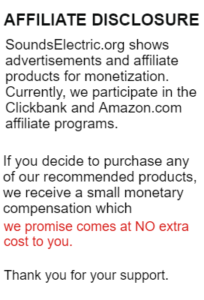 You can either buy it separately or look for a cheaper but compatible alternative. As mentioned above, the sound selection might be impressive for this type of budget keyboard but still, limitations are limitations. This keyboard only has 10 voices and you can only record one song. It also does not have hammer action keys like on a real acoustic piano, although I am a bit on the fence with this because this "disadvantage" can be good for learning and for practicing. 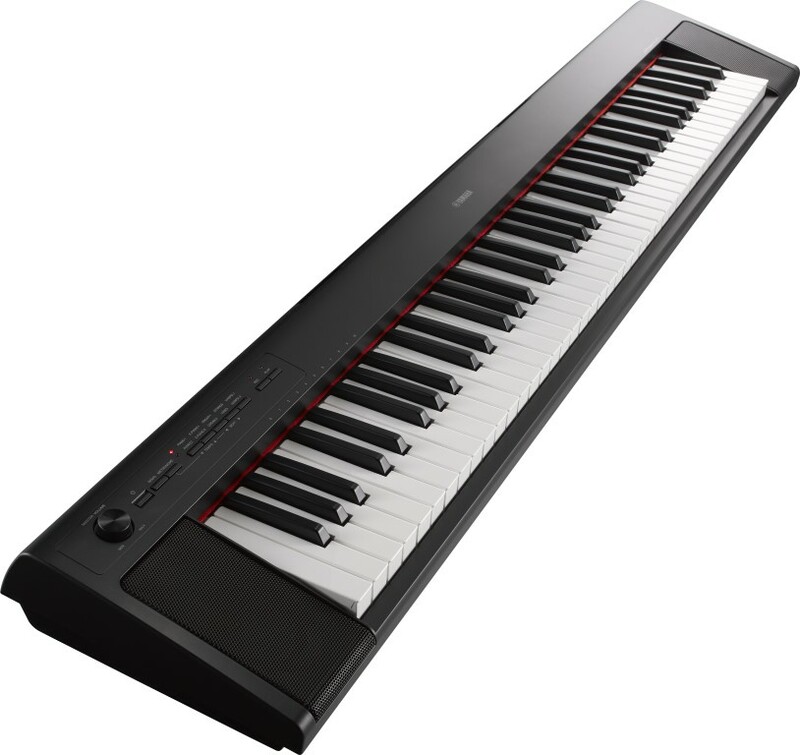 We have rounded up a few Yamaha Piaggero NP-32 reviews from other buyers to prove to you we are not making things up when we say this is a great keyboard, not just for beginners but for musicians of all levels! "I use the piano to practice on my own time while taking private lessons with my local music school. Each key sounds very nice when I touch it​, and the sound can persist for several beats." "I had to return two keyboards (not Yamaha) the past couple years. Fortunately, I came across the NP-32. On the first day, I knew I would not send this keyboard back. The keyboard is high quality and quiet. Now I'm glad I did not opt for a hammer mechanism. Dynamic play is very possible (with the advantage that you do not get a tendon disc ignition with frequent play). It is a pleasure to play on the keyboard. For anyone who is looking for a portable 76-key keyboard, I highly recommend this keyboard." "Got this as a starter/intermediate keyboard for my kids. Music teacher approved. Great sound. Can feel the difference in the keys (semi-weighted) when playing." 1. How do I record a song? First you press the REC button. Then, start playing your intended song. If the recording is done right, the REC lamp lights and the PLAY lamp flashes during the entire recording session. Once you are finished, press the REC button again and if you want to play back the sound that was just recorded, press the PLAY button. 2. How do I listen to the sound choices? The keyboard has ten different sounds. You can access them by selecting the Voice buttons. You can switch between the upper and lower-indicated Voices by pressing the Voice buttons located under Voices. Once selected, the lamp corresponding to the selected Voice's side lights up. 3. How do I listen to the Voice Demo songs? While holding down DEMO, press one of the Voice buttons to start the Voice Demo Song. The songs provided for each Voice will play back in sequence. During playback, you can change the Voice Demo Song by pressing a different Voice button. Press DEMO to stop playback. Quick note: Simply pressing DEMO starts the Demo Song sequence from PIANO 1. While holding down METRONOME, use [t] or [s] to decrease or increase the tempo, or press [t]/[s] simultaneously to restore the default setting. You can also enter a specific tempo number by using the keyboard. All in all, the Yamaha NP32 76-key electronic keyboard is a very good contender out of many beginner keyboard options in the market. This keyboard is really great for starters or beginners, and it may be limited on the sounds department, but it feels good and its grand piano sound is truly excellent. Additionally, it is a light keyboard, which can be a great factor especially if you are always on the move for gigs or performances. For its price, this keyboard is very competitive plus it offers great convenience by integrating it with compatible iOS apps. Sound-wise, since this is a 76-note keyboard, it can extend in length for greater range without the need to shift octaves up or down. Very convenient as well, you can store this across the back seat of any car and you won't strain your back taking it in and out. The keys closely resemble a grand piano giving it a realistic feel, whilst still being gentle and easy to play for beginners or those used to keyboards rather than pianos. For the price and if it meets your personal needs, why not go for it? Looking for the Yamaha Piaggero NP32 Manual?